Embracing Christ’s love for all people, we serve those who need care with compassion, excellence, and dignity. 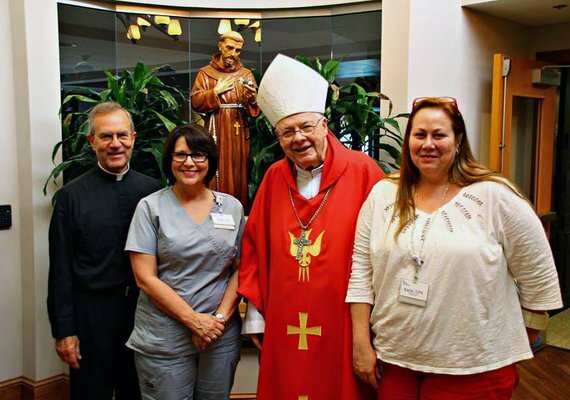 With daily mass, sisters who are registered nurses, and priests available 24 hours a day for pastoral care, residents of Villa St. Francis receive the spiritual support they deserve. 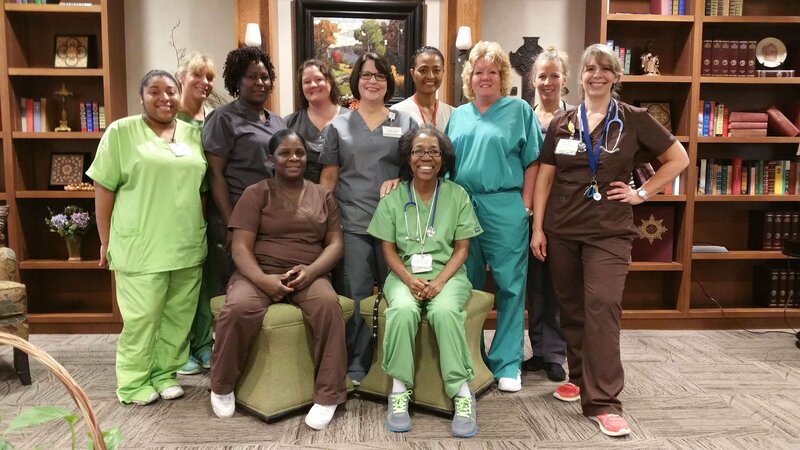 Our dedicated team provides compassionate care and comfort through a welcoming environment for residents and their families. Located in Olathe, Kansas with easy access to Overland Park, Lenexa, Gardner and Shawnee, we provide our residents with all-embracing senior living assistance, including long term support, short term rehabilitation, and skilled dementia care. The Archdiocese of Kansas City in Kansas sponsors our non-profit nursing facility, and mission-driven care is at the heart of what we do. At Villa St. Francis, each and every one of our residents and their family members are the most important to us. That’s our philosophy, and we are committed to providing the most supportive, quality care in the area through our values of faith, integrity, excellence, compassion, and respect. Support with daily activities and respect for the independence and personal preferences of our seniors. Experienced and compassionate nursing care for those in recuperation with all of the comforts and familiarity of home. Specialized memory care in an encouraging and consistent environment with a distinct understanding for each resident and their family.